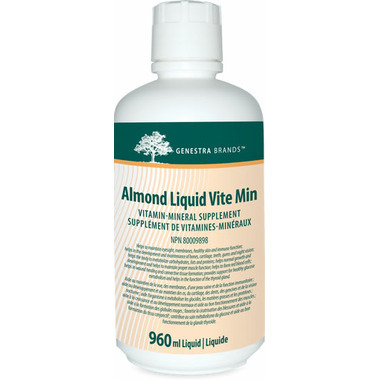 Genestra Almond Liquid Vite Min is a vegetarian friendly formula that supports macronutrient metabolism. Almond Liquid Vite Min is a great-tasting combination of vitamins and minerals, including all eight B vitamins. B vitamins help mediate hundreds of enzymatic reactions, including the metabolism of carbohydrates, fats and proteins.1 Folic acid and vitamin B12 are also necessary for the formation of red blood cells, which transport oxygen to tissues. As vegetarian diets may not provide adequate levels of vitamin B12, Almond Liquid Vite Min is a vegetarian friendly option that helps prevent vitamin B12 deficiency. Vitamin C is involved in protein and fat metabolism through its role in the synthesis of collagen and carnitine. Collagen is necessary for wound healing, while carnitine transports fatty acids to the mitochondria for breakdown and energy production. Chromium helps metabolize carbohydrates and fats through its role in regulating glucose uptake in cells, promoting its storage as glycogen, stimulating fatty acid synthesis, and inhibiting triglyceride breakdown. Vitamin A helps to stimulate immune cell development, maintain eyesight and night vision, and promote the natural barrier function of the skin to further promote optimal health. I have used this product for about the last ten years. It has a very pleasant taste. Because I suffered from post-nasal drip, I looked for something to enhance my immune system and relieve this symptom. This works for me!! 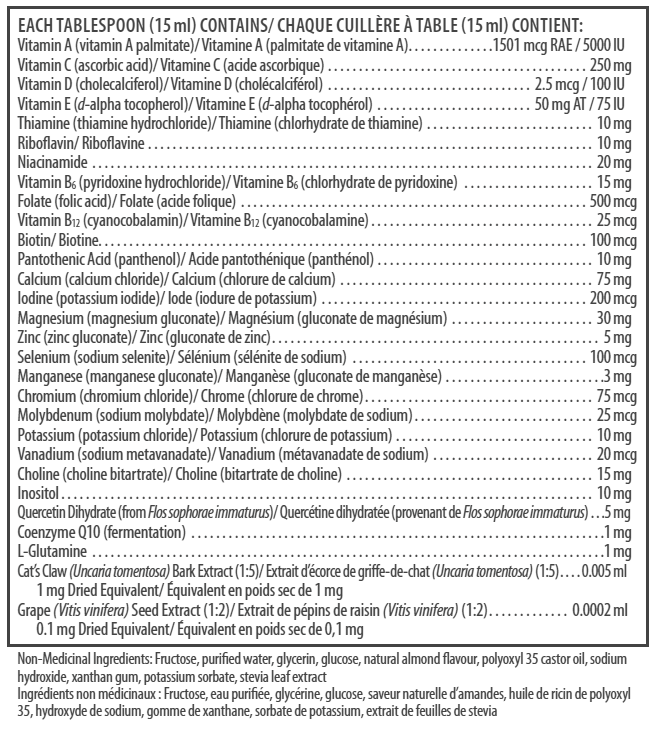 I've read on other wellness blogs that more nutrients are absorbed when taken in liquid form as compared to a solid 'pill' form. 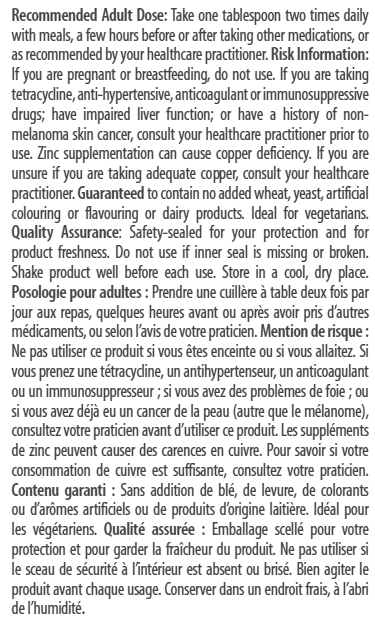 I've recommended this product to family and friends.